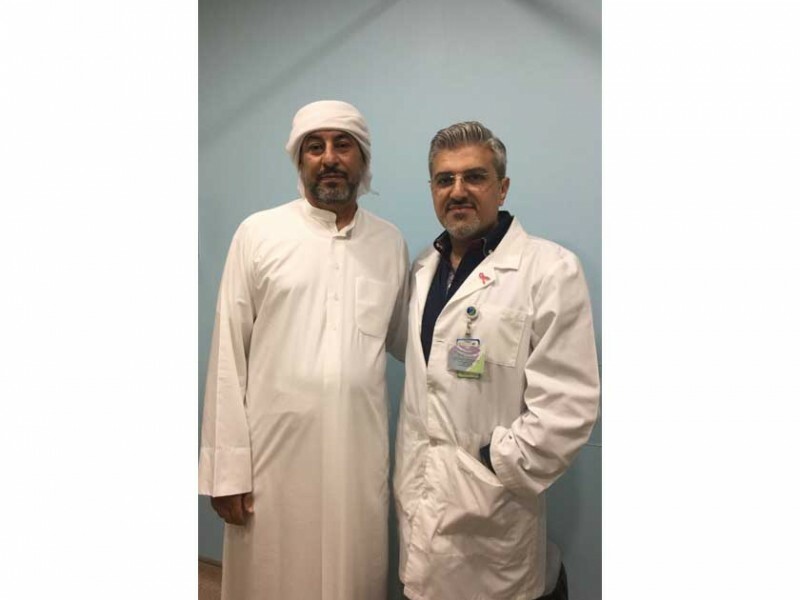 SHARJAH, 23rd January, 2018 (WAM) -- Dr. Fadi Alnehlaoui, Surgical Oncologist and General Surgeon at Zulekha Hospital Sharjah, has treated a 54-year-old, Ahmed Falahis, who has been suffering with a 38 centimetre infectious lesions on his right thigh for over 10 years. He was diagnosed with angiomatosis on his limb which occupied an entire region and extended over multiple layers of skin and subcuits. The patient suffered with the benign tumour for years which now began to grow very quickly over the past year, the rapid growth projected a high risk of losing the entire lower limb due to infections. Dr. Alnehlaoui counselled the patient on the possible surgical wide excision with grafting that could revive his infected skin and free him from his exhaustive abnormality in life. The initial investigation involved a biopsy to identify the incision required and confirm the diagnosis. An MRI was also carried out so that the extension of the lesions and the proliferations were known. The surgeons needed to ensure that the infection has not impacted the muscle mass. "The main challenge of the surgery was the huge size of the infectious lesions that required an expert eye for detail and carefully monitored excision techniques. It was critical to ensure that we could reconstruct the grafts without further damage to the delicate layers of the skin," Dr. Alnehlaoui said.